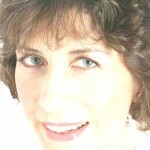 I'm a feng shui consultant based in the UK and work either remotely or onsite with clients around the world. I have been an accredited practitioner since 2009 and I offer a simple understanding of how energy in your home or business can be used to your advantage. After all, going with the flow is easier than battling against it. Your home should be your haven. The place you are happy to go to and where you feel safe and secure. It should also nourish you and provide a solid foundation from which you can live a full and happy life. Your home is a reflection of you. Make changes in your home and you make changes in your life. Every business or business person is looking for an edge that will bring success. Feng Shui is used by many organisations, both large and small, which, combined with standard management tools and environmental management gives them the lead in an increasingly competitive business world. Whatever you're selling or offering as a service you have to get people through your door, have them buy something before they leave, want to come back again and want to recommend you to others. For retail outlets it's as much about the experience you provide to customers as it is the product or service. Consultations are available both on site and remotely for homes, gardens or outside spaces, businesses, home offices and pre-purchase. I also offer feng shui calls via skype which can be tailored to your specific issue or situation rather than having a full consultation. And, if you are a newly trained or student consultant I offer mentoring sessions to help build your knowledge, confidence and business skills. I am also available for workshops, consultancy, advice and talks.